I have been a subscriber of a DiGi Broadband plan for many years; I don’t remember exactly how many but certainly more than five years. 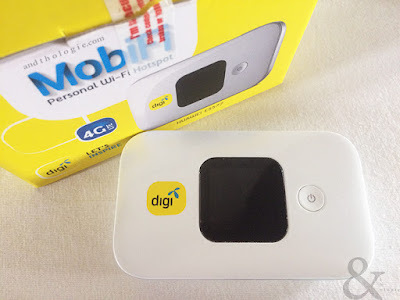 For those outside of Malaysia, DiGi Telecommunication is one of a few major telecommunication and Internet service providers in Malaysia. Except for one or two minor incidents a few years ago, I have not had any major customer service or data service complaints against DiGi. Largely, it has been a rather peaceful relationship where we keep our own ways; as long as I keep paying the bills on time. Recently, I made a decision which later proved to be a mix of regret and disappointment at once. I decided to change my subscription plan and buy the modem offered with it at a low upfront payment with the remaining of the price included in my monthly bills spread over a few months. Slightly larger and thicker than the TP-Link but that is not the problem. The modem, Huawei E5577, is an upgrade to my TP-Link M5250. The data transfer is supposedly faster at a higher rate; I’m not one to check the speedtest and see how fast a data speed goes to the second, but I can say that in real-world usage, I honestly don’t notice any difference between the two modems, so if there’s any it must be quite marginal. But the battery of the Huawei is the real winner here compared to the TP-Link. I do notice that it lasts longer with fairly continuous use. It says on the box that the battery lasts for twelve hours and I’m inclined to agree to a certain degree. Now the problem. After a few months of uninterrupted and blissful experience, around late March or early April, I was prompted, on the online web interface, to upgrade the firmware. Happily, blissfully ignorant, I did so; I finally came round to actually do it on the seventh or eighth of April. The upgrade was seamless and required no effort on my part. What happened afterwards was close to a nightmare if you’re depending on the Internet every day and need it to work uninterrupted. What happened was, and I should stress is still happening, is that when I open a website either by clicking a link or going directly to it, the browser [I blamed the browser at first] variably redirects it to DiGi’s website. It was worse initially; I couldn’t even access some sites on my phone using Safari; it was a bit better on my laptop using Chrome, I was able to access the said websites here. I referred to my best friend, Google. I didn’t know the exact problem at first and did not connect it to the upgrade because the redirects didn’t happen immediately after it. I had to make a 'blind' search and read up a little bit; time was lost and spent on searching and reading when I could have used it doing other stuff. 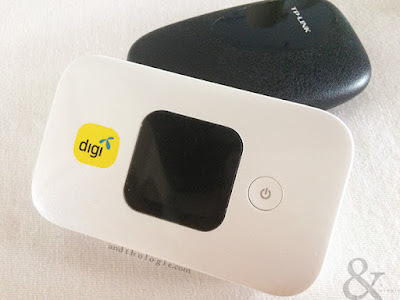 I found out the cause on the DiGi's community forum [Websites being redirected to DiGi homepage | Huawei e5577 keep restarting] and while doing so remembered that I had just installed an update and had also noticed that the modem’s screen kept flashing intermittently. 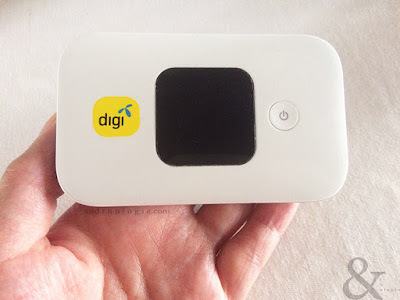 I was quite relieved that the issue was already raised on the forum; I thought they, DiGi or Huawei, were already addressing it and it might be a temporary thing. How wrong I was. A week went by and there was still no solution. I was getting irritated because, well wouldn’t you if for every ten websites you tried to open almost half of them redirected to your service provider’s? And remember, I couldn’t access some websites on my phone at all, and the problem had been going on for more than a week. Into the second week, I was getting really annoyed and wondered if I had made the right decision or if I should have gone with another service provider. And then this announcement came. I was supposed to go to a Huawei service centre for a fault I didn’t do, at my own cost, and no doubt I would have to pay the bill promptly as usual. This was the 27th of April, over a month after the problem first being reported on their forum. None of the service centres on the list are close by where I live. Needless to say I had to take some time to calm down before I called the Huawei’s customer service hotline, fully expecting them to be well aware of the situation. To my surprise they were not and said that what I could do was to do a factory reset, and if that didn’t work to bring it to a Huawei service centre. I asked whether I could reset it using the online web interface, the customer service representative said I could try - and I did - and it didn’t completely solve the problem but the redirects were less frequent; and I still couldn’t access some websites on my phone. One in the hand is worth... something. Fast forward to 1st June, after… I have lost count of the number of days, I was again prompted to upgrade the firmware. I was wary but thought it couldn’t get worse. Could it? I gathered a few seconds of courage and hit the upgrade button... and was quite happy for a few... hours. I was able to access the websites that I couldn’t before and everything was rosy for just a few hours. Then the screen flashed and it happened. This time round the redirects are sparse. And so it stands at the time of writing.